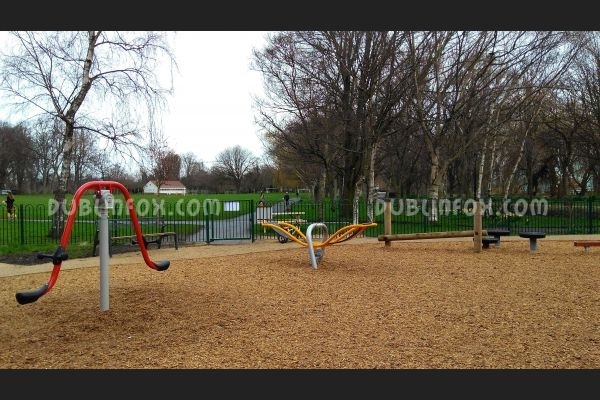 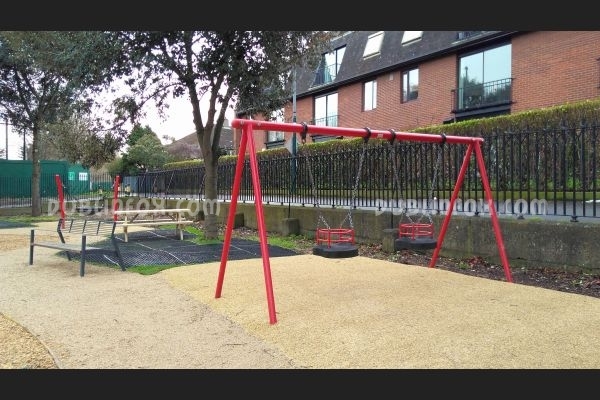 Herbert Park is divided by Herbert Park Road and there is a playground in both sections. 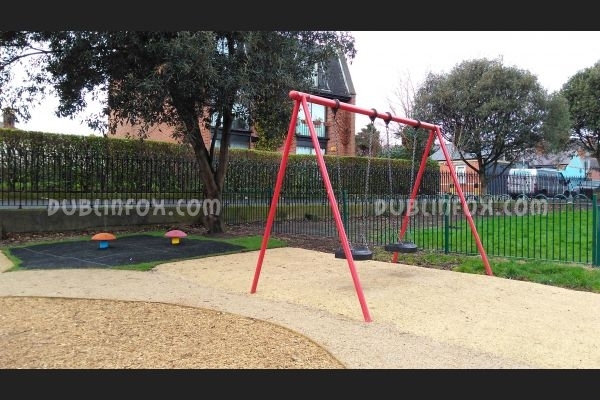 The smaller playground belongs to Donnybrook and it was wonderfully refurbished in the beginning of 2017. 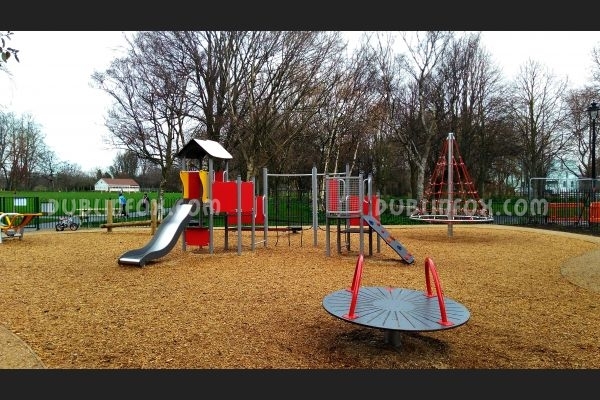 Although this playground is not big, it is full of exciting play equipment. 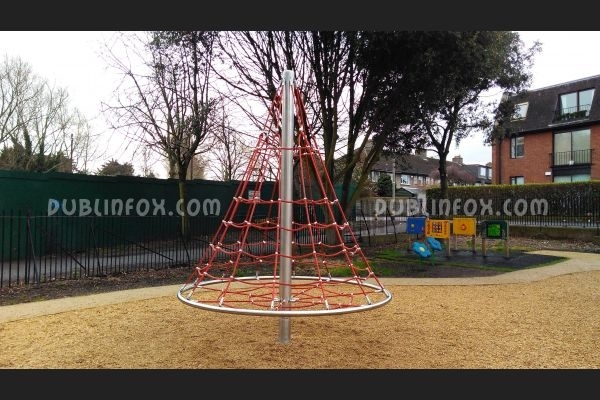 For toddlers there are two baby swings, four activity panels and a basket swing, while for older kids (3-8 years) there are two swings, a multi-play unit with slide, a few balancing units, two see-saws, a spinner and a roundabout swing. 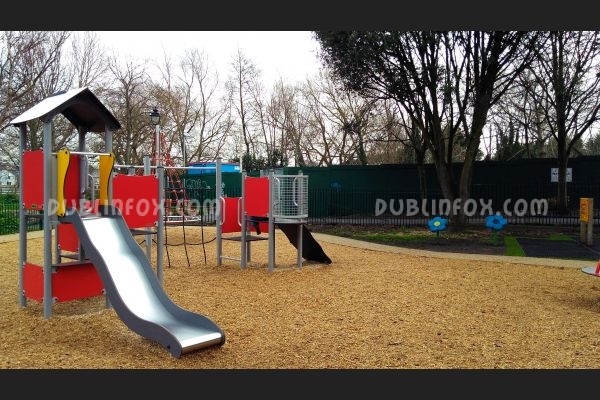 The surface of the playground is a mixture of wooden chips, gravel and rubber tiles, so hopefully this smaller playground of the park will not be as muddy as the bigger one after a few rainy days. 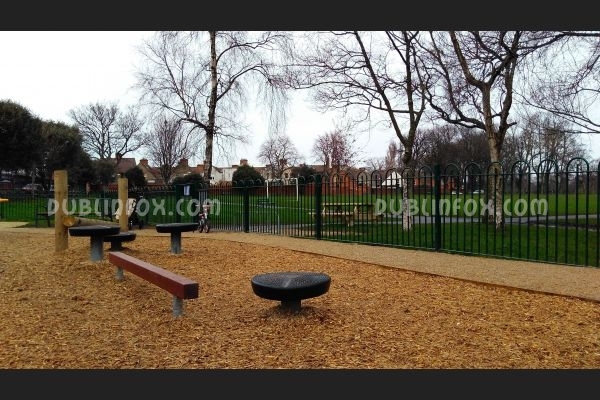 Not far from the playground there is a pond with ducks and swans that are continuously waiting to be fed... 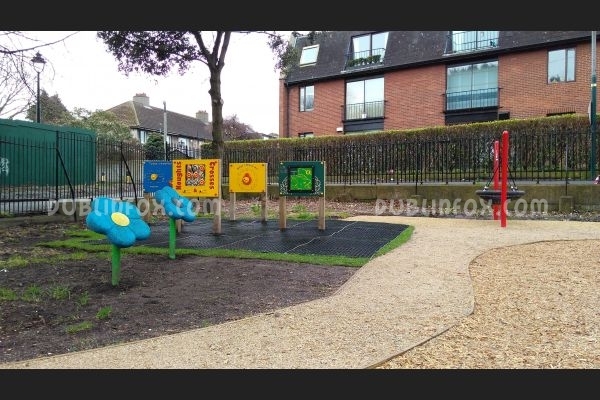 If you or the kids are interested in model boats, you should definitely visit Herbert Park on a Sunday morning, as from 11 o'clock you can watch some beautiful model boats racing at the pond and if you are lucky, their proud owners will tell their wonderful stories as well. 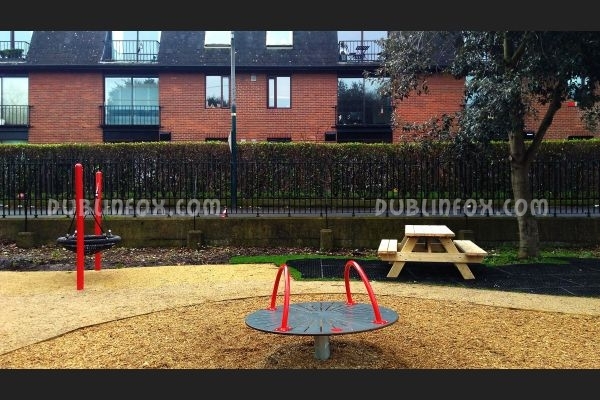 Click here to open Herbert Park 2's website in a new window.